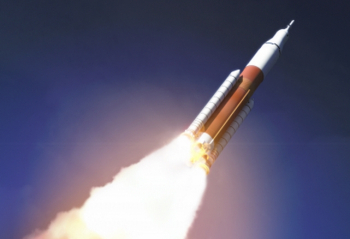 NASA is moving up a gear with its manifest planning for the Space Launch System (SLS). A new internal manifest portrays a tag team approach, alternating SLS between crewed missions for Orion and major flagship science missions that includes sending a spacecraft to Europa and conducting a Mars Sample Return mission, all before the middle of the next decade. The launch rate for NASA’s new Heavy Lift Launch Vehicle (HLV) has been a concern for some time, with Bill Gerstenmaier, NASA’s Associate Administrator for Human Exploration and Operations, claiming SLS will have to launch at least once per year, as a “necessary” requirement. The reasons for ensuring “repetitive cadence” relates to multiple engineering, safety and budgetary factors, but also to build public inspiration for NASA’s future goals. Currently, NASA’s PR campaign for the monster rocket mainly revolves around a tour of a giant inflatable SLS model stationed outside random events. However, the big question of building the mission manifest for SLS has not laid dormant with NASA managers, many of whom continue to work methodically through options based on capability and affordability within the projected long-term budgets. That process now appears to be moving up a gear, with an expansion of the planning manifest now seen on internal documentation (L2), moving way past the current public information that only shows two missions and a loose promise of crewed missions to Mars in the mid 2030s. Those opening two missions begin with the 2018 test flight for SLS in her Block 1 configuration, tasked with lofting an uncrewed Orion to 70,000 km past the Moon on a 25 day flight. This mission was changed from an Apollo 8 style mission around the Moon, in order to gain experience ahead of Exploration Mission -2 (EM-2) mission to send a crew to visit a captured asteroid. Originally, the plan was to launch EM-1 in late 2017, prior to an unpopular four year wait until the crewed mission in 2021. Despite continued interest in a cargo mission to split the gap, the plan has not yet changed. The dates, however, have. Due to continued issues with what is known as the critical path – namely Orion and schedule problems with ESA’s Service Module contribution – EM-1 has slipped into 2018. Internal information, acquired via SLS’ L2 section, shows Orion is the driver for what is now a manifested slip to September 30, 2018. Interestingly, the previous four year gap may also be reduced via a positive move, specifically the continued viability of advancing the EM-2 launch date. While there is some hope this date can move into the 2020 timeframe, manifest information shows this mission could at least move from the previous August 15, 2021 target to earlier in the year. Orion is shown as being able to support that change. NASA has not publicly noted any information for missions after EM-2. However, the newly created manifest information goes much further, with an eye on fulfilling Mr. Gerstenmaier’s advice and creating some much-needed public interest. 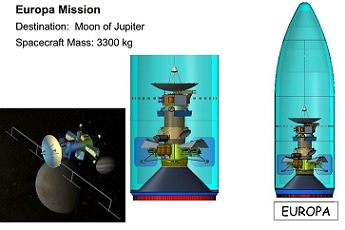 Based around the utilization of what is now a baselined Block 1B configuration with the Exploration Upper Stage (EUS) – the workhorse for the 2020s – the manifest information shows an invigorated effort to secure the Europa Clipper mission for SLS. 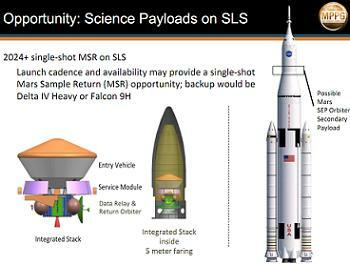 As previously reported by this site, several studies have been conducted for such a mission, ranging from an exercise in planning between SLS and JPL, through to payload fairing designs. However, planning now appears to be advancing at a pace. 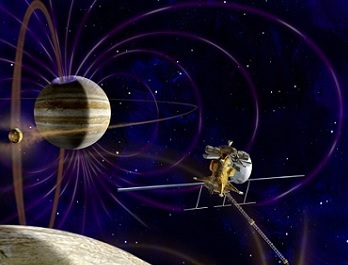 Based around a notional Design Reference Mission (DRM), there is now frequent communication between the Europa office at JPL and the SLS Program Office. This includes the exchange of data, analysis results and engineering computer models between the two organizations. Several other NASA centers and departments are now officially involved, ranging from the Ground Ops folks at KSC, through to the Launch Services Program (LSP). The main problem is obviously related to the funding standpoint, given this spacecraft remains without the major budget allocation. 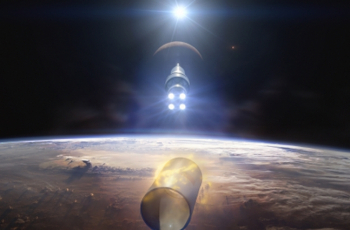 However, the benefits of utilizing the superior performance of SLS would result in the mission transit time being vastly reduced, when compared to the eight or so years it would take via a current launch vehicle. The internal planning has also created a placement on the manifest, with the notional mission now targeting launch in June 2022, with a backup opportunity in July 2023. Should the new manifest become a reality, the focus would then switch to Exploration Mission -3 (EM-3), the second flight of a crewed Orion. While there continues to be some debate as to the mission outline for this flight, it too now has an official launch date target, namely August 15, 2023. The following year would then switch attention toward Mars, with a previous option now becoming part of the baselined planning. Previously tagged as the “2024+ Single Shot MSR on SLS” option, a Mars Sample Return (MSR) mission has now received a placeholder in the 2024 slot on the official internal manifest. 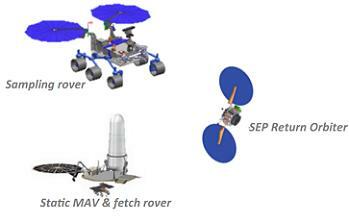 Originally, the outline spoke of a”Possible Mars SEP (Solar Electric Power/Propulsion) Orbiter” riding as a secondary payload on the Heavy Lift Launch Vehicle. The cited alternatives of using a Falcon Heavy or a Delta IV-Heavy would see it become their primary payload. However, SLS planning now appears to be moving toward building a primary mission for the 2024 SLS flight. The mission has previously been outlined as utilizing robotics to acquire the samples, prior to being launched from the surface of Mars for a rendezvous with a crewed Orion vehicle. The sample canister would be then enclosed in a stowage case and stowed in Orion for its Earth return. “This approach deals with key planetary protection concerns. Crew inspection, cleaning and sample prior to Earth return removes the need to robotically “break the chain” of contact with samples at Mars, thus reducing complexity and cost of the robotic missions,” noted the previous outline. Once again, NASA funding requirements will ultimately decide if this mission can become a reality, although it would provide a stepping stone towards the eventual crewed missions to Mars. 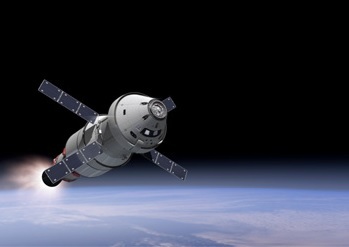 Exploration Mission -4 (EM-4) would be the third crewed mission of SLS and Orion, manifested for August 15, 2025. However, this mission is yet to gain an outline. Sources note the SLS Program Office continues to have meetings at quarterly intervals to review the latest studies for evolving the missions, with the majority of the focus currently being placed on the Europa Clipper opportunity.